Mercedes has confirmed it’s back and better than ever with a scintillating one-two qualifying performance at the Australian Grand Prix. Lewis Hamilton led Nico Rosberg by six tenths of a second in a display of crushing dominance, building a gap of 1.4 seconds to the next non-Mercedes car in the process. “We’ve already had and a big rush and a huge effort from all of the guys back at the factory to enable us to come here and have this performance, so I feel incredibly blessed to have this car. Nico Rosberg stumbled through the qualifying afternoon, first affected by a spontaneous engine cut in Q2, and then locked up his flying lap in Q3, handing pole to Hamilton. “The speed was there but I just didn’t get it together today,” lamented Rosberg. “It wasn’t a great day today. “But of course I’m really thankful to the team for the car that they have given me — it’s unbelievable. “It’s a pleasure to drive and it’s a pleasure to be in this situation with this team. That’s really great to see where we are again now — leading the pack. 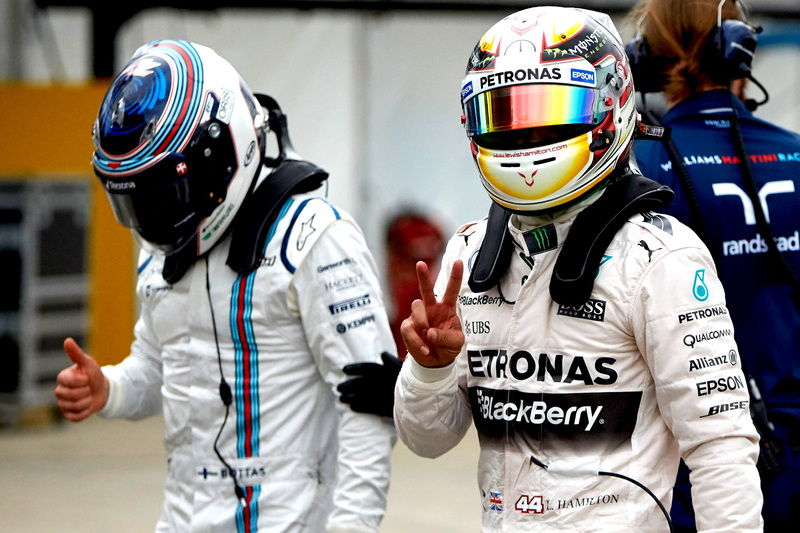 Felipe Massa slipped into P3 ahead of the resurgent Ferrari of Sebastian Vettel by just four hundredths of a second. “It was a very tricky qualifying,” said the Williams driver. “Especially when you have four cars fighting for very similar times, all the time. “If you see the difference in the lap times between me, Sebastian, Kimi, and also Valtteri, it’s pretty small — but I’m happy.